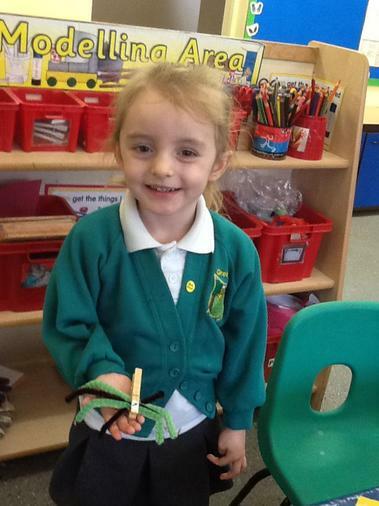 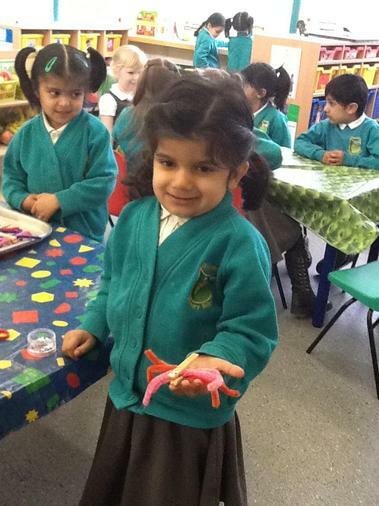 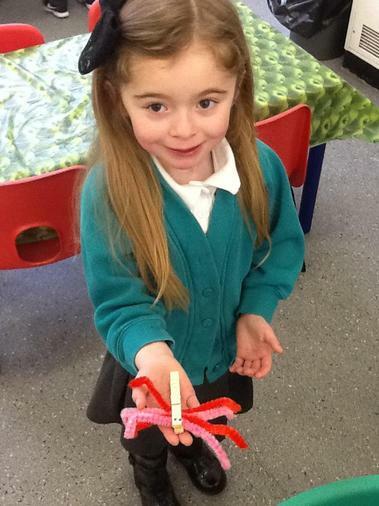 This half term our topic is Minibeasts. 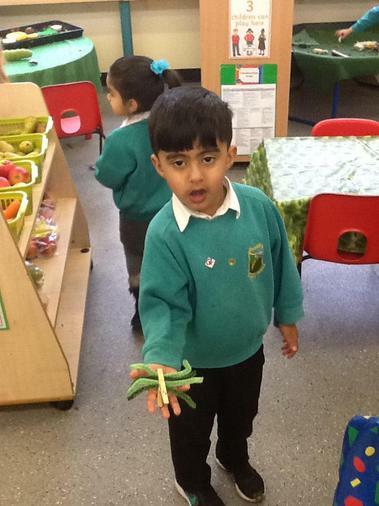 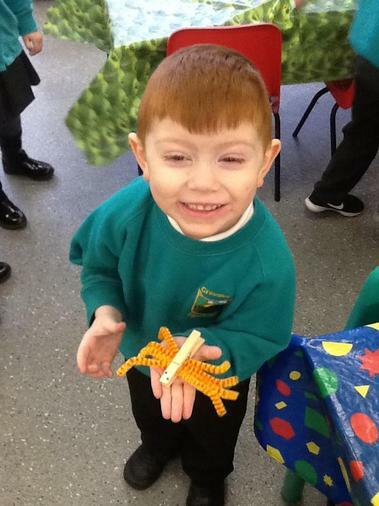 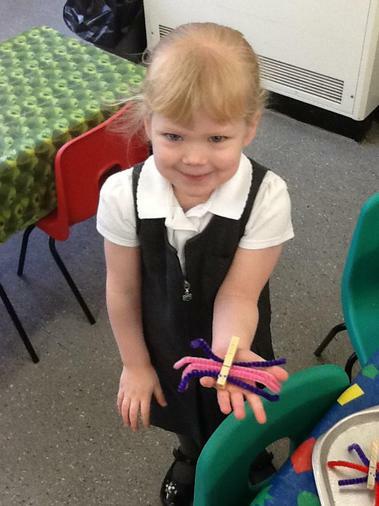 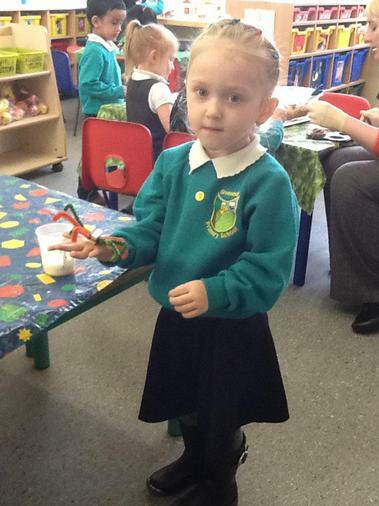 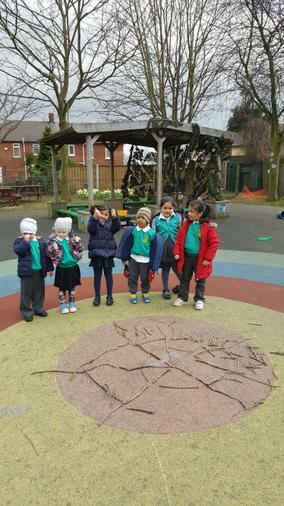 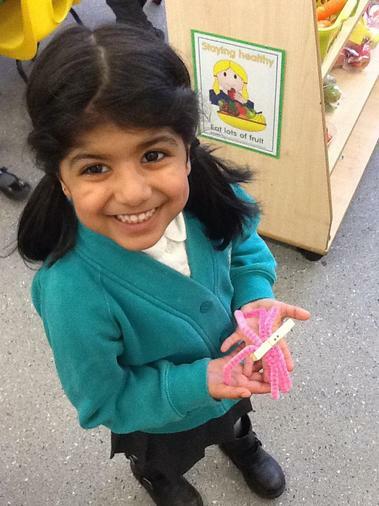 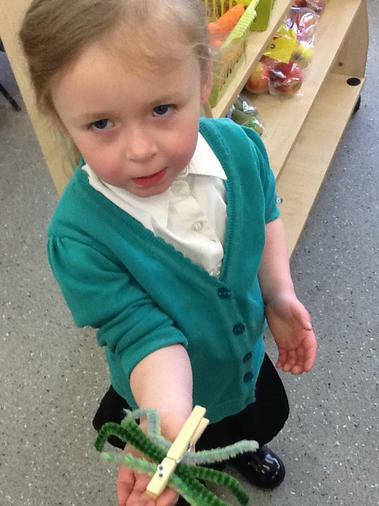 Each week we have focused our learning on a story about a minibeast such as, The Very Hungry Caterpillar and The Very Busy Spider. 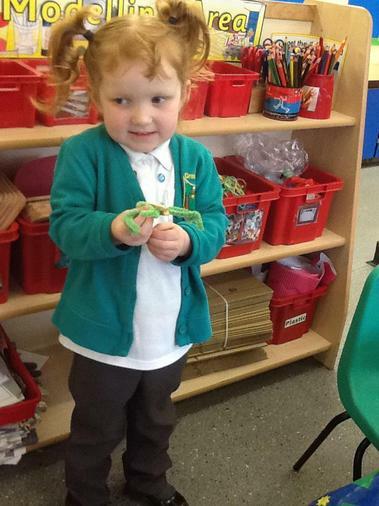 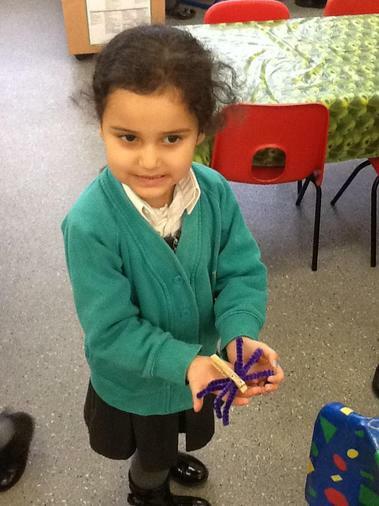 We have been learning about where we find minibeasts and how they live and grow. 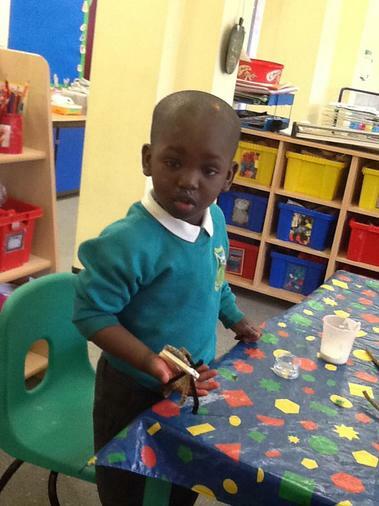 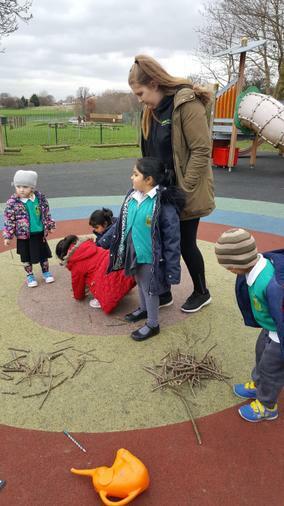 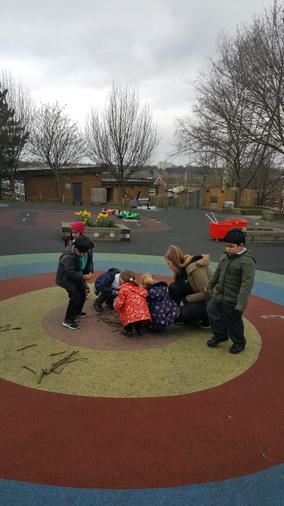 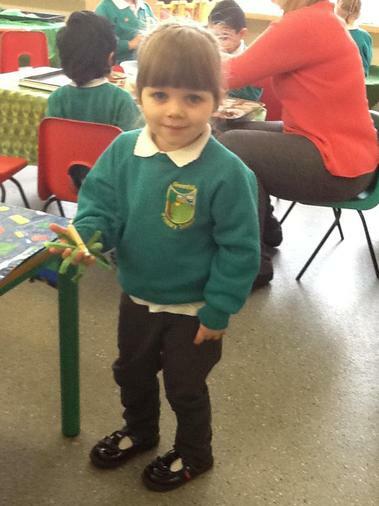 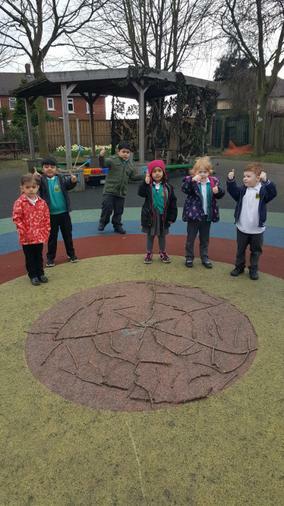 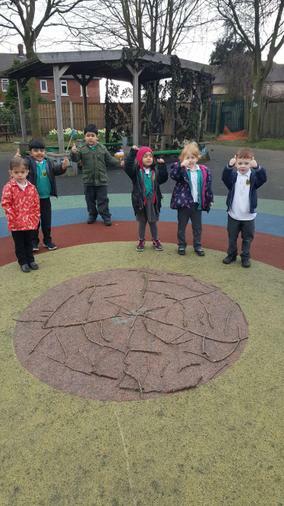 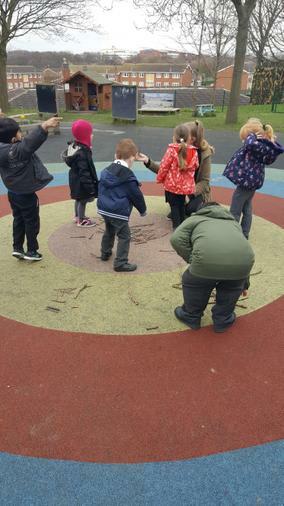 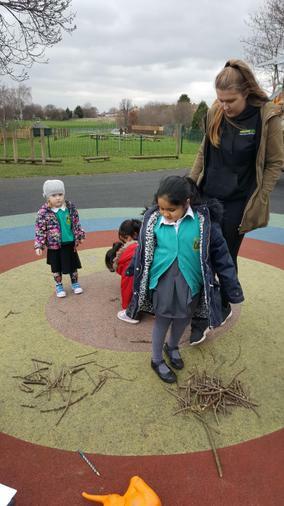 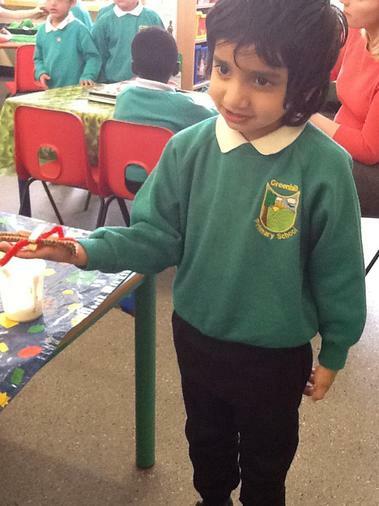 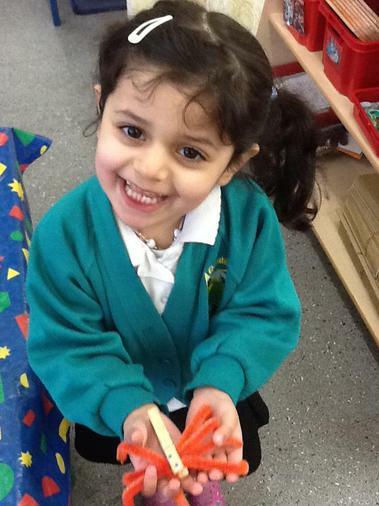 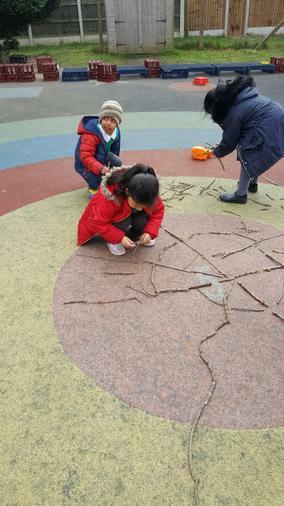 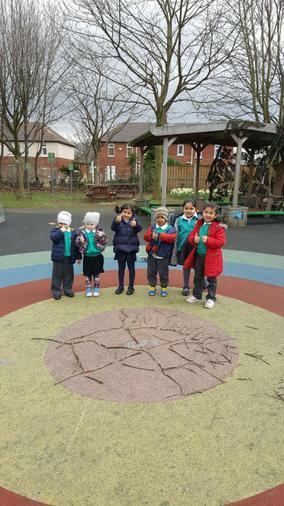 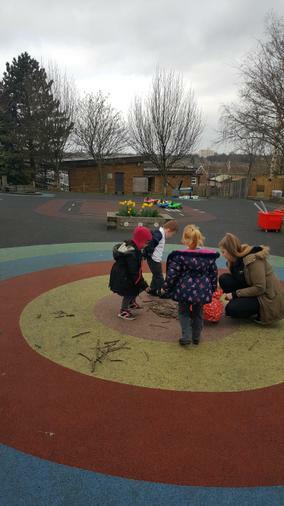 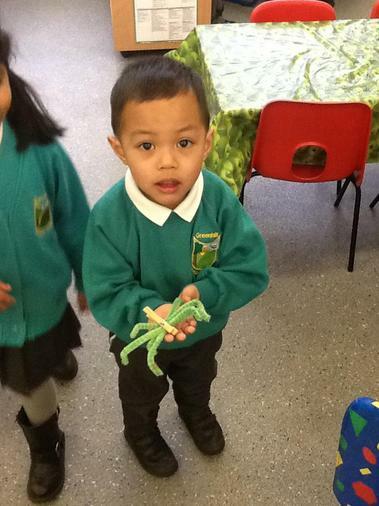 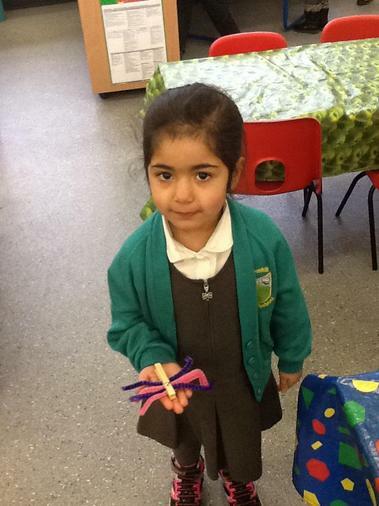 Here are some photographs of the activities that have taken place during our topic. 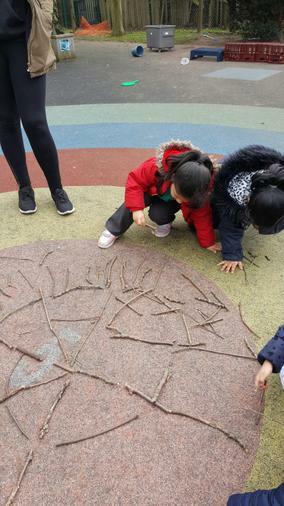 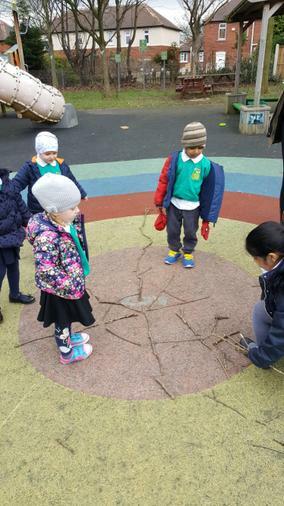 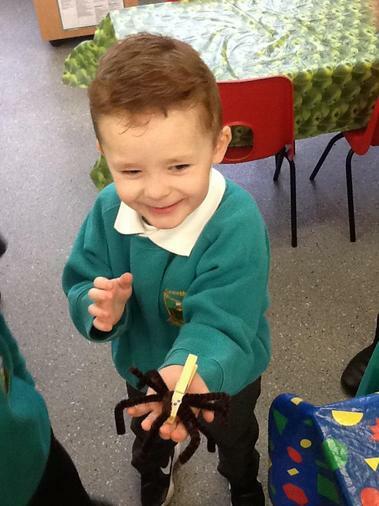 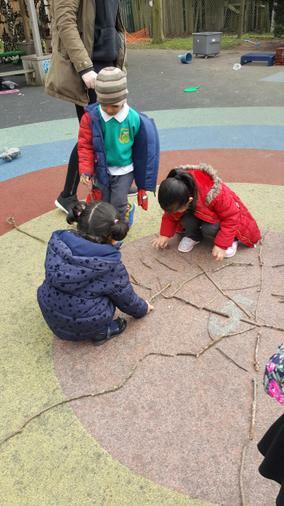 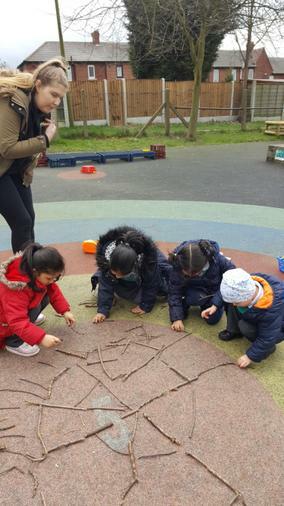 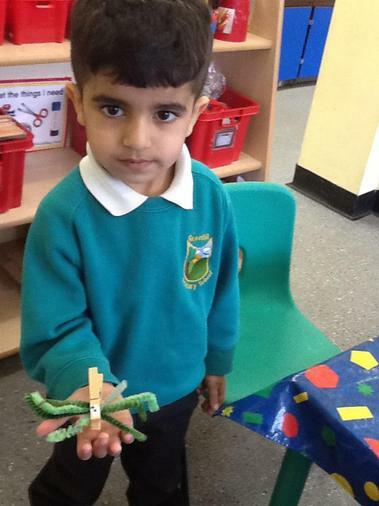 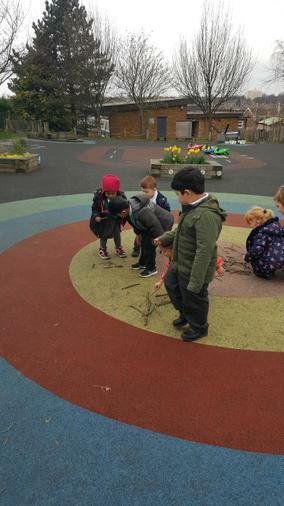 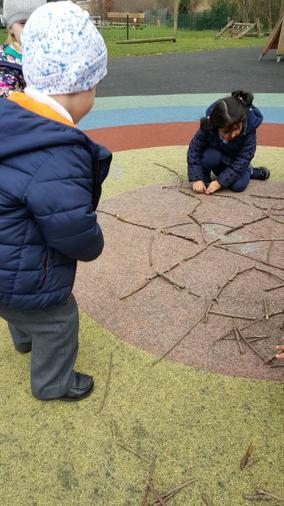 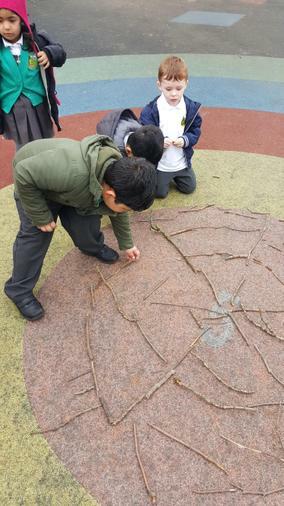 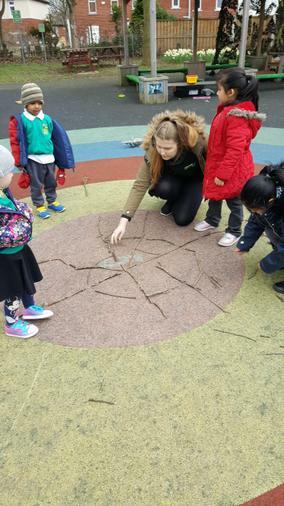 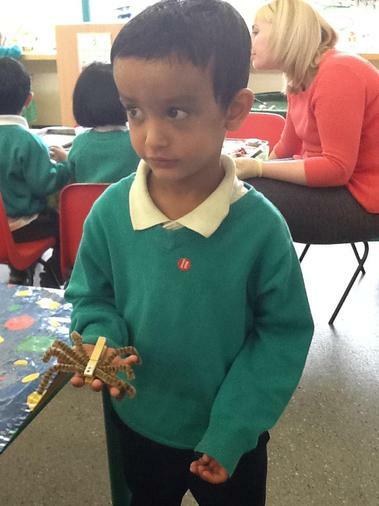 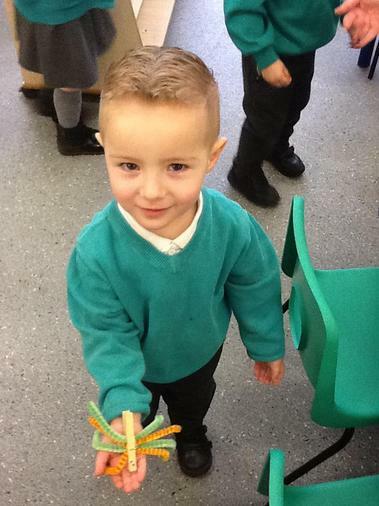 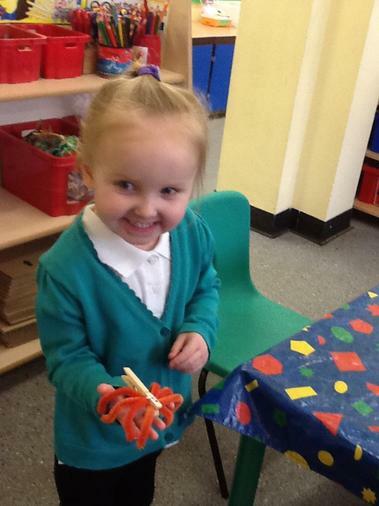 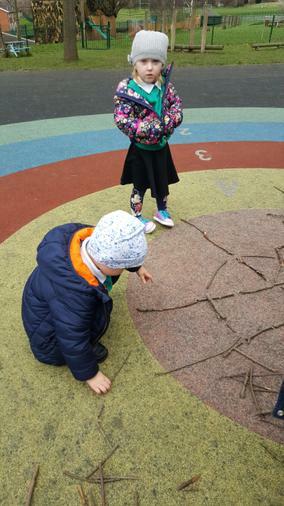 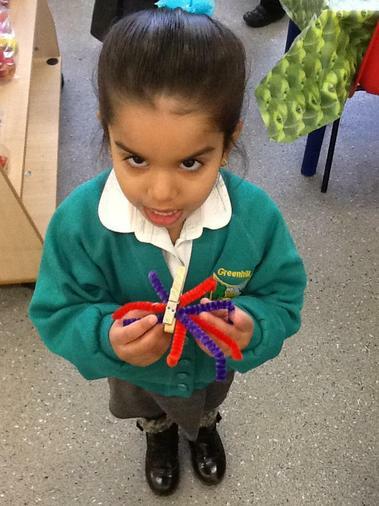 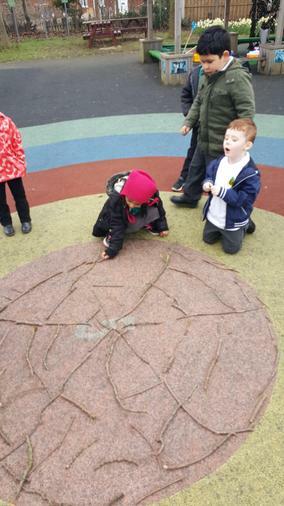 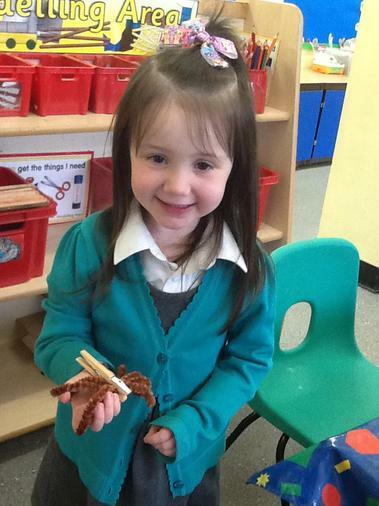 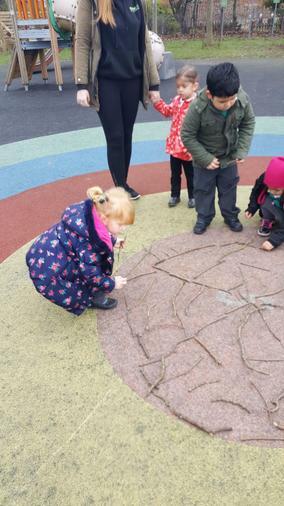 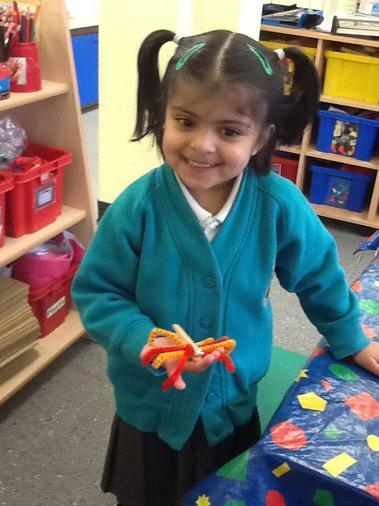 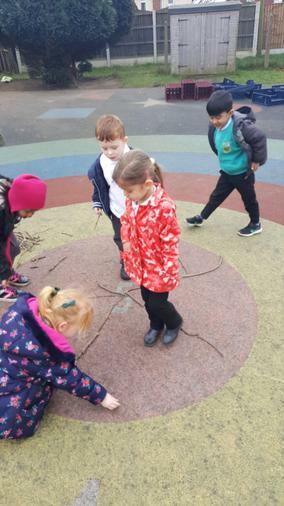 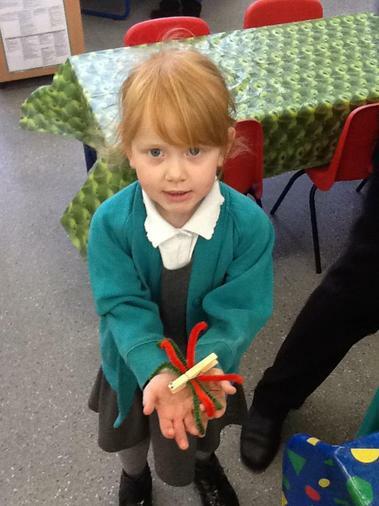 Using sticks to make spider webs.